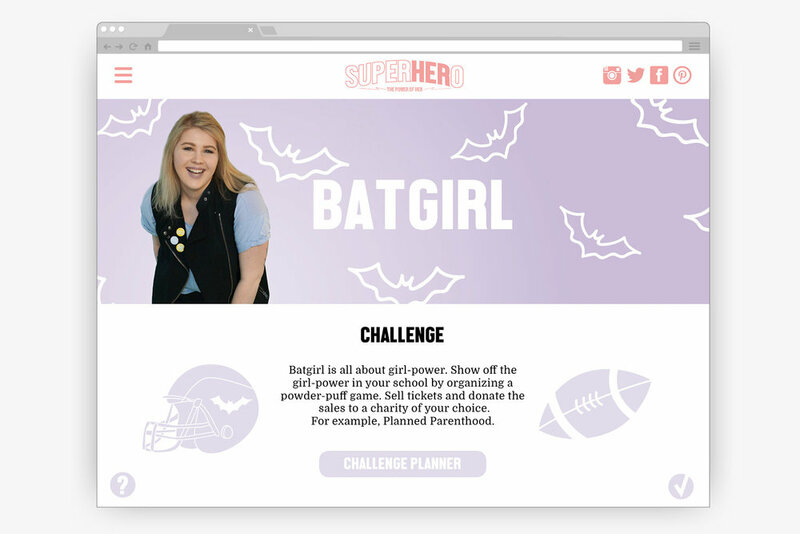 SuperHERo: The Power of Her is a campaign for youth activism inspired by the potential of everyday high school girls and legendary female superheroes. It's all about giving a voice to young women. 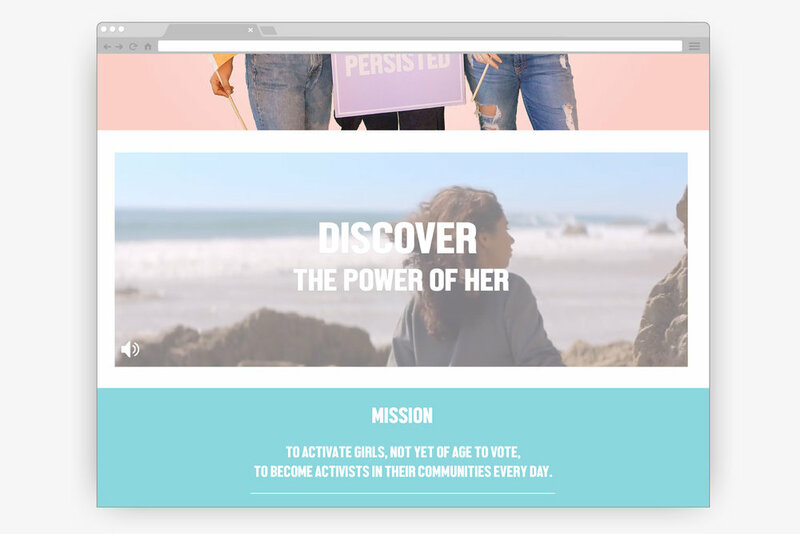 This campaign is for the girl who joined the 2017 Women’s March – a girl who proudly hangs her protest poster above her bed and dreams of making the world a better place. She’s passionate about the issues and wants to help, but is too young to vote. 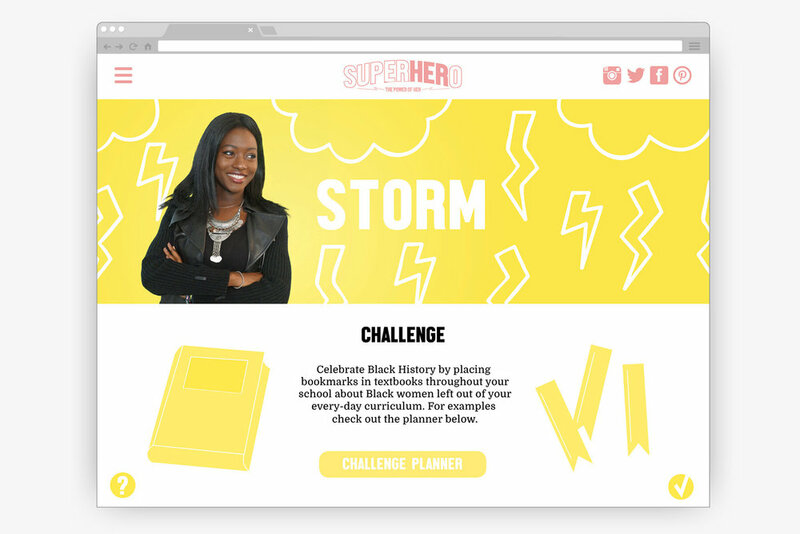 Its mission is to activate these young girls in the United States through a web-based platform featuring challenges inspired by feminist superheroes like Wonder Woman, Storm, and Supergirl. Students can register by group or school to track their completed challenges, upload pictures, receive rewards, and explore how others are participating across the country. 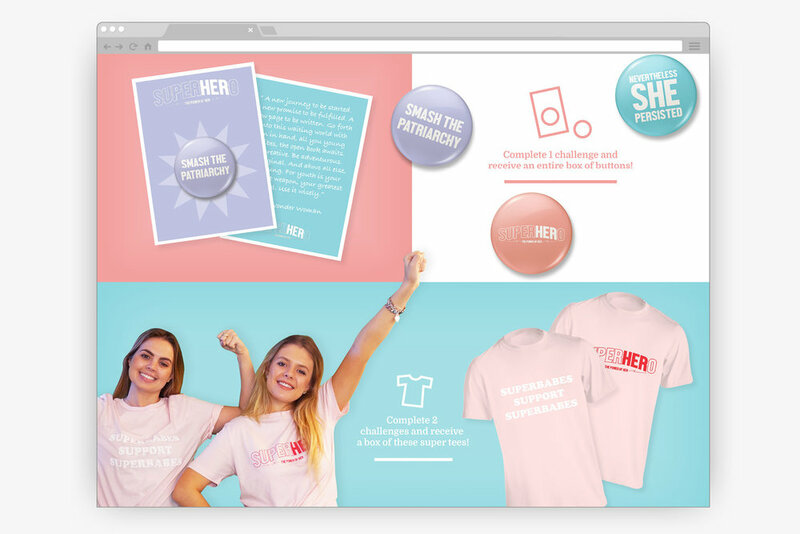 As challenges are completed, students can earn rewards including pins, posters, stickers and t-shirts, motivating them to complete new challenges as they appear. Challenges range from making posters to painting wall murals to hosting events, all with varying time commitments. My hope is that this campaign will have a positive and permanent impact on the lives of these young women, as they become active citizens in their communities and in the world. 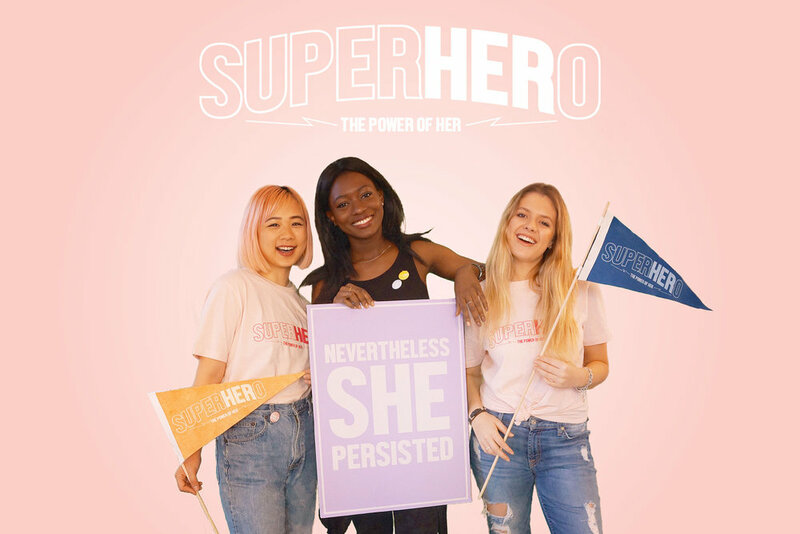 Every girl should feel like a superhero and every girl has the power to make a difference.